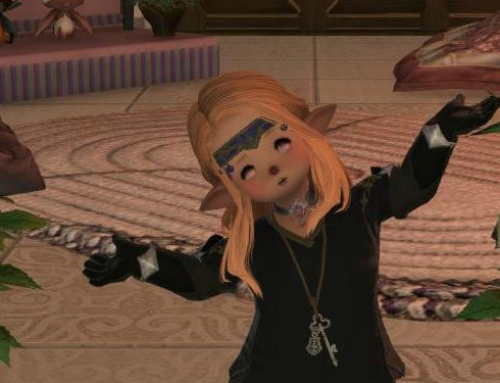 This issue contains a fun trick for progressing in the Aquapolis, a tip for the fastest method to grind esoterics, and a discussion of the FFXIV Airship NERF that Square Enix didn’t tell anyone about. 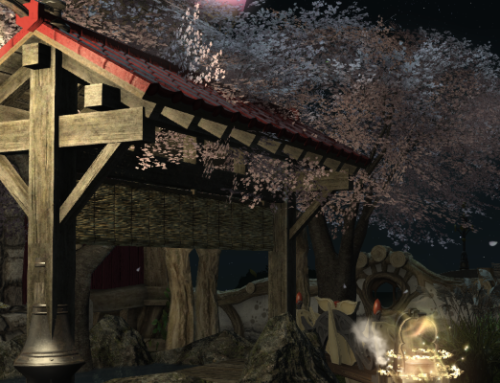 You know, for the gambler in us at Lift FC – we sure do love us some Aquapolis! We’ve had numerous Free Company map nights to the point our company chest gil is a bit depleted at the moment, haha. 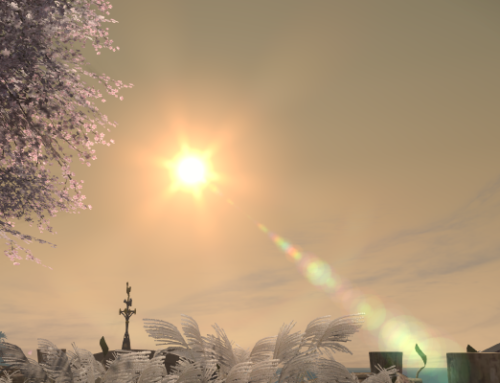 Of course, the most fun was doing the Aquapolis with FC mates and getting tons of fun loot, including Astrid obtaining both the Bluebird and Nutkin minions in just one run! Feym Lyosa was instrumental in moving the groups to the last room. We like to call his method the “Feym Method.” So, under the “Feym Method”, players should roll /random after each chest. If the number is even – go right. If the number is odd – go left. Very simple. Takes the thought out of choosing and its gotten us pretty far! 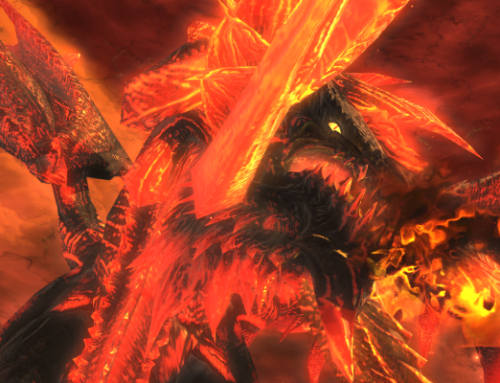 So, needless to say the 18,000 esoteric players need in order to go from 230-240 on their relic is a bit cumbersome. Leah Highwind shows us just how exhausting it can be . . . 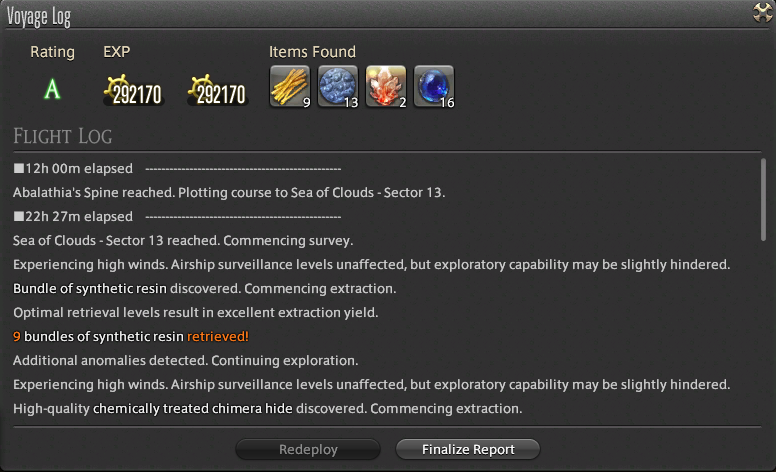 But, time to kill that Aetherochemical Research Facility in 20 minutes to farm 150 eso every 20 minutes! This is the fastest method we have found so far . . .
Airship Updates – Mission Critical, e.g., NERF!!!! 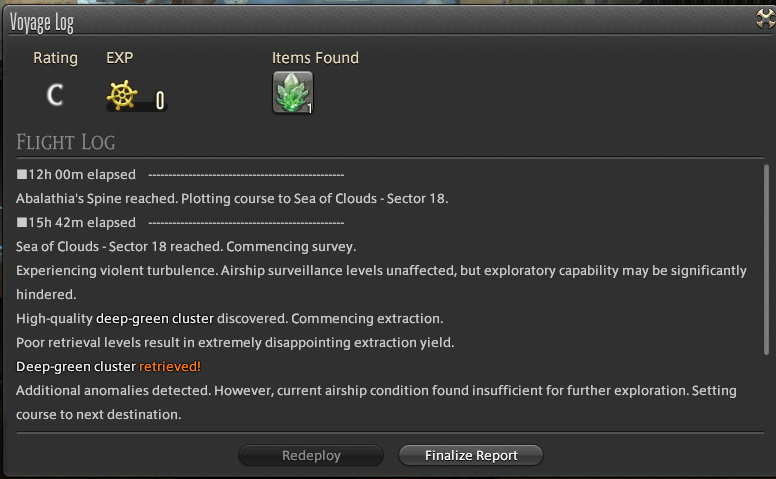 Looks like Square Enix did not want players to know they were going to NERFFFFFF the ABSOLUTELY BEJEEEEBUS out of the airship exploration trips. Sure, have players sink millions of gil into progression of the free company airships. Have them start finally equipping their members with materia. Then, without telling anyone drop the GIANT NERF BOMB. 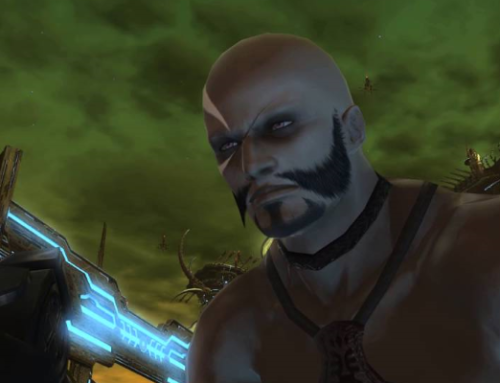 After seeing a number of complaints on the main lodestone forums, I started looking into the issue. I scoured the internet after retrieving 10x minium from sector 24. 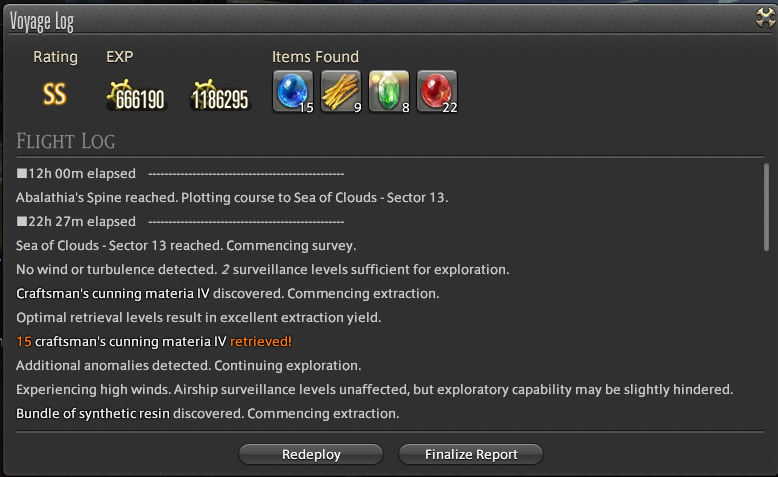 Here is what you need to know, “rating” likely severely impacts the level of materia your airship will retrieve. 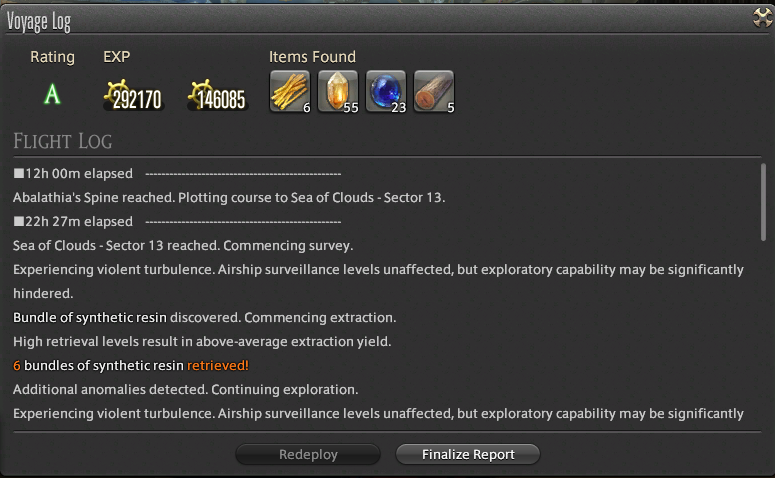 Since the patch, Lift FC airships have retrieved NO GRADE V materia. Further, it seems only on SS or S airship voyages will bring back Grade IV materia. It should be noted many of these ships are equipped with the Bronco, Invincible, Viltgance, Odyssey build that was previously bringing back loads of Craftsman IV materia. It is only after Patch 3.3 our ships have started bringing back garbage – even silver ore, electrum ore and minium.